Don’t give up the reading, music, and great movies you enjoy due to mobility issues, even temporary ones. We bring your choice of items directly to you! Call (440) 466-4521 ext. 285 to receive an application. 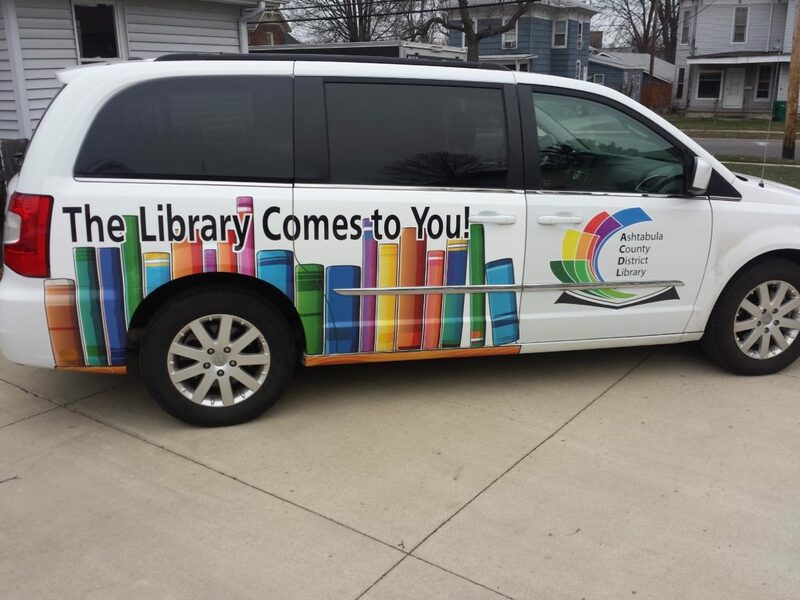 To be eligible for the Books to Your Door program a patron must reside in the Ashtabula County District Library service area and be unable to get to a library building. Service may be short term or permanent, depending on our patron’s wishes. Parents, this service is available for homebound children, too. Whatever your door looks like, we’ll bring items from our collection directly to you.